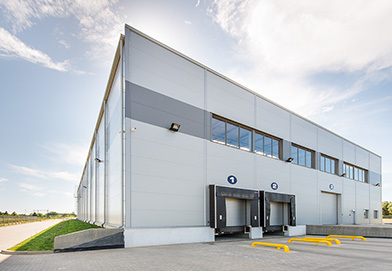 CoBouw warehouse halls are used to store different products – as from food products up to utility goods of any type. Each of our projects arises based on detail analysis of the Investor’s needs and on advanced solutions that improve maximally the logistic processes that begin at the level of the warehouse hall. individual selection of goods storage method depending on the product type (eg. 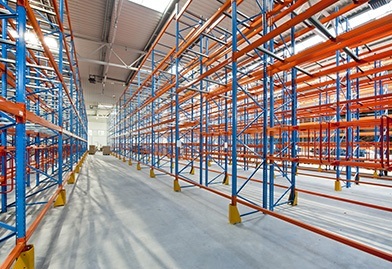 shelving system or another method). Within the detailed analysis, we determine the fire load that will be necessary in the a specific warehouse. The fire load depends on the type and quantity of the stored goods. Depending on the specific fire load, we select the relevant construction solution. 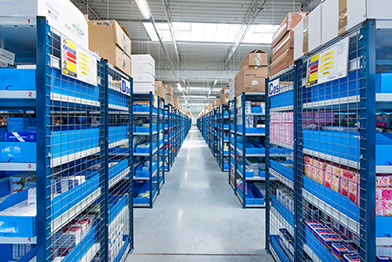 For floor design, we take into account loads resulting from the shelving with the stored goods (Figure 1); this is the static and dynamic load. 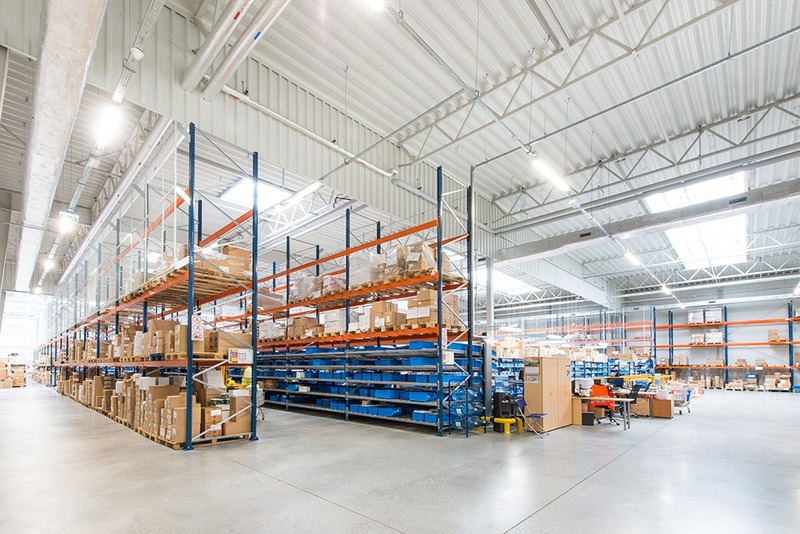 When creating the concept, we select the suitable hall width and height to obtain the goods storage effectiveness and the facility economics as closely as possible. While taking into account the Investor’s activity and development plans, we accordingly design and build modern delivery-dispatch facilities including gates, ramps, loading docks, etc. 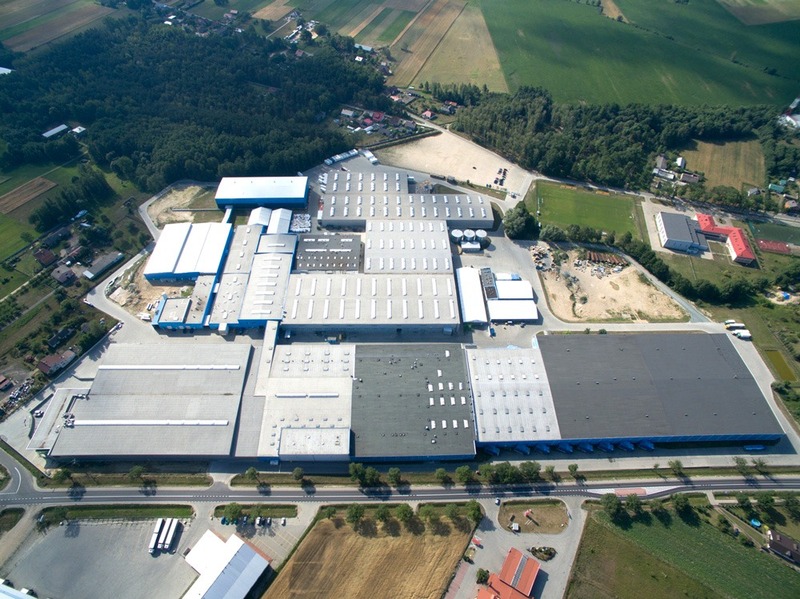 Depending on the expected daily traffic, we foresee suitable area of yards to improve logistic processes and provide liquidity of goods delivery and reception. We will proudly undertake a project according to your expectations. Are you planning to build a hall? MARDOM PRO SP. Z O.O. SP.K.